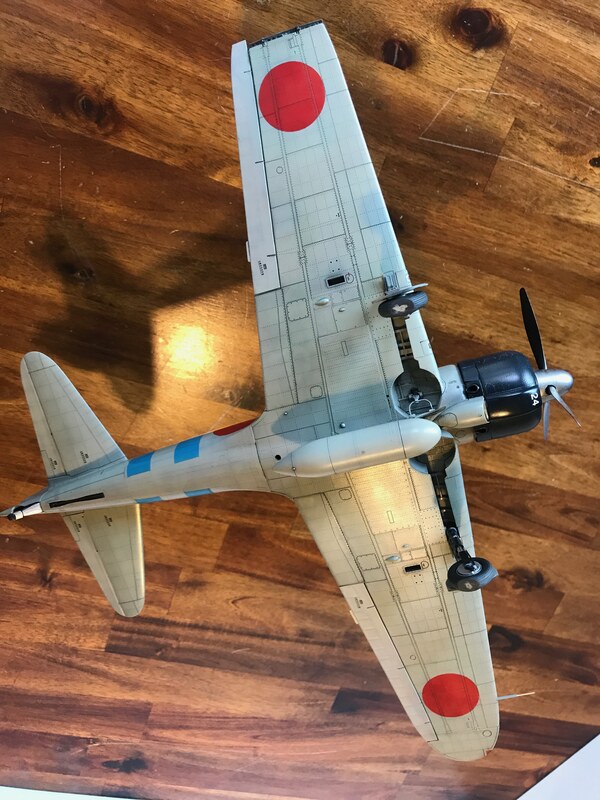 These are pics of my Tamiya A6M2 1/32nd scale Type 21. 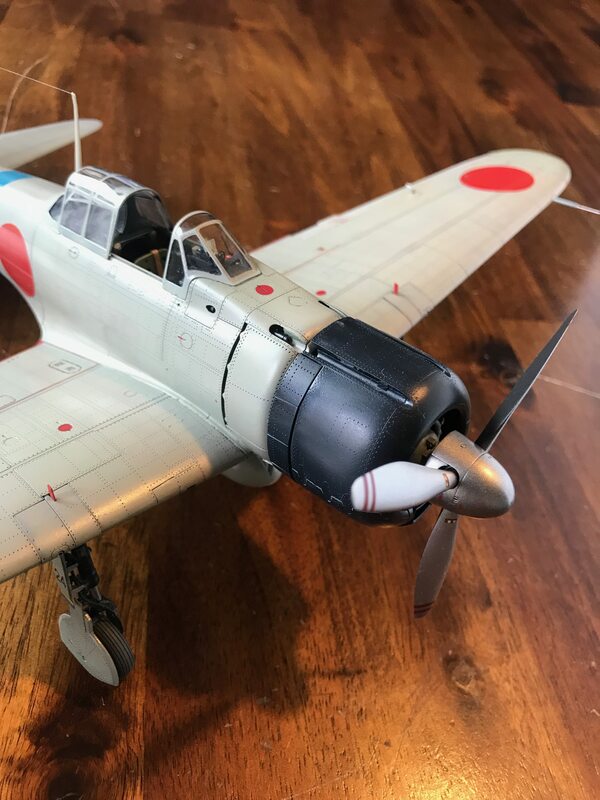 My model depicts the aircraft of NAP1/C Tsuguo Matsuyama during the 2nd strike of the Pearl Harbor attack. 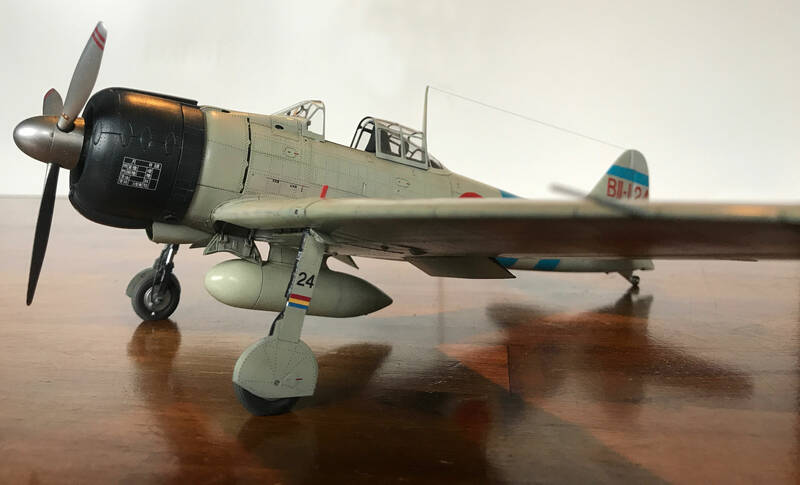 The kit took me a long time to build, mainly due to life's interruptions, such as going back to college for a master's degree, and other situations. 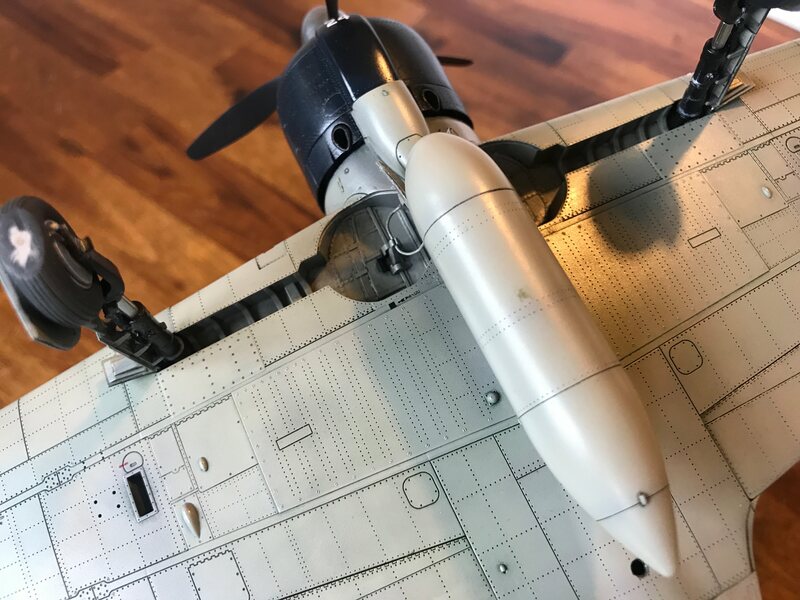 Anyway, it's an excellent kit, the fit is great unless you add too many details (I found that out during the build and it slowed me down) but, in the end, the kit fits together easily (typical of Tamiya), and it was a lot of fun. I used mostly GSI Mr. Hobby Colors for the build, along with Taiya paints, Alclad II lacquer, Vallejo acrylics, lots of Future, and even some blue food coloring . 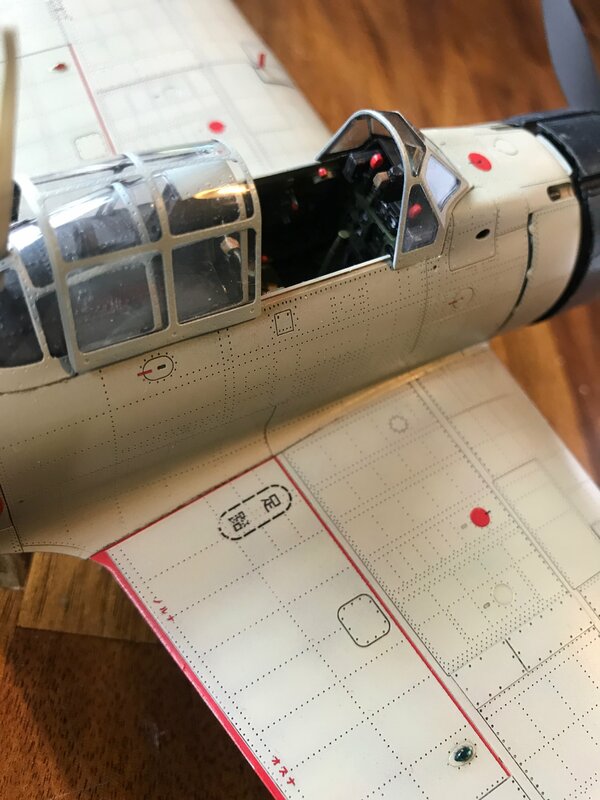 The tires and drop flaps were aftermarket resin, I added wiring in the cockpit and on the engine, and the seatbelts are the ones included in the kit, which are probably the weakest part of the model. Overall though, I'm very happy with the way it turned out. Thanks for looking! Beautiful, Tom. I've always wanted to build this scheme and even got two of these kits (forget I had one in the stash), but haven't gotten to it yet. Model looks flawless. This is good! I love me some Zeros. 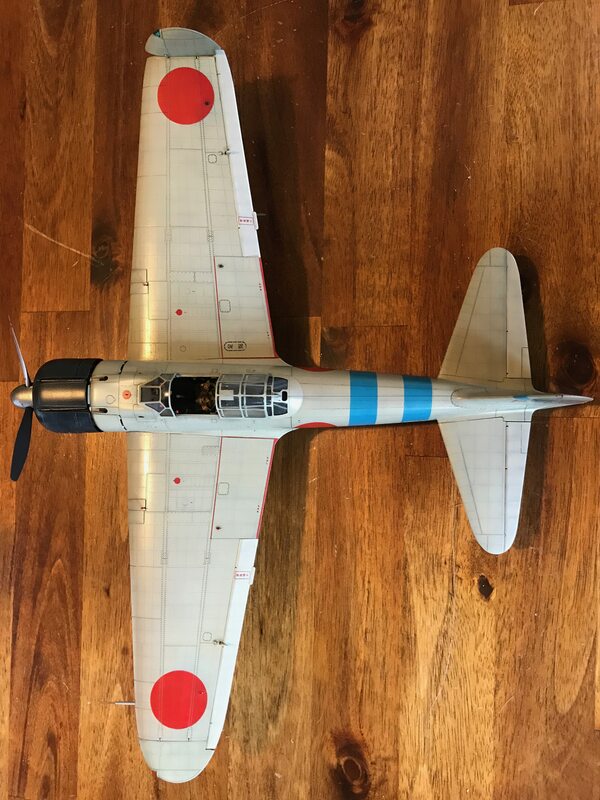 Tora, Tora, Tora. 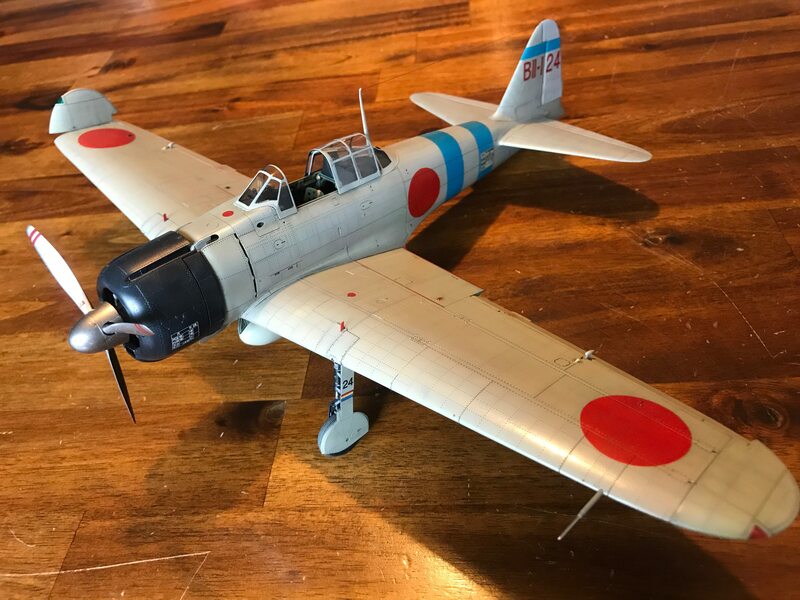 An amazing aircraft for 1941 but waaaay underarmed for what was coming from the US Navy. And the gas tanks weren't self-sealing, so a hot ride. 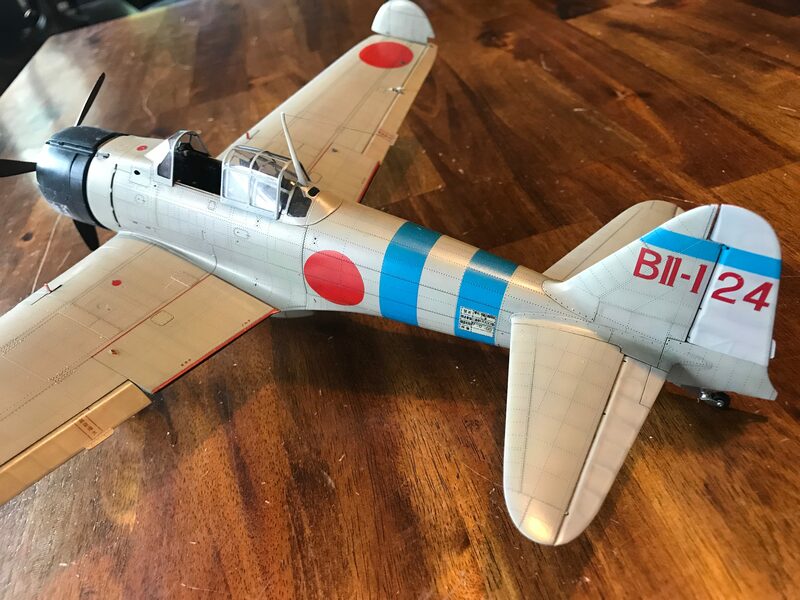 Really nice capture of the IJN colors. 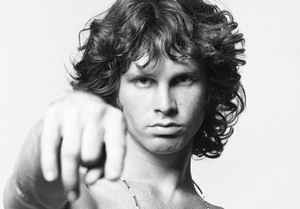 Mike- Thank you very much--you also got the "lyrical" connection! Shaka- Thank you--I appreciate your kind words! Eagle- Thank you. 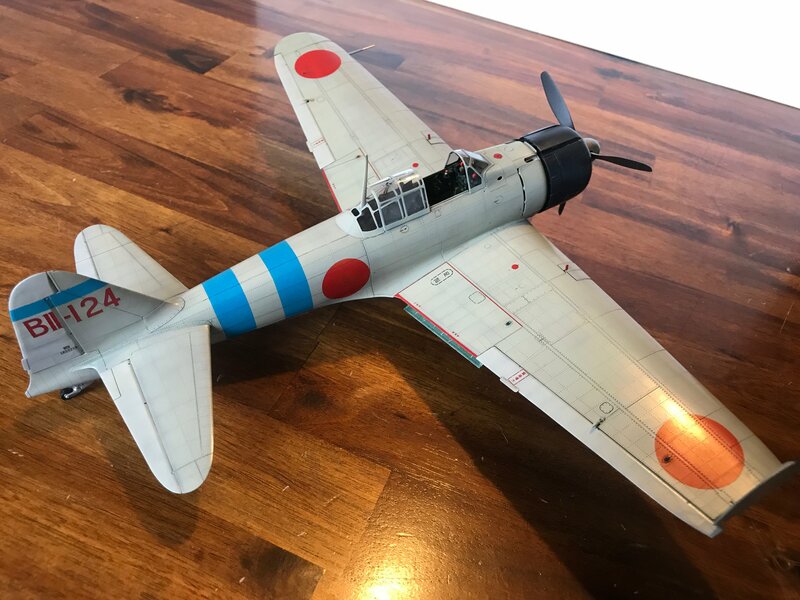 I'm working on an the Tam A6M5 now... so hopefully have another built soon! Bill- Thank you sir. It's a lot of research, but in the end it came down to what I wanted it to look like. Japan had a different fighting theology at the time, didn't they? Gigant- Thank you for the complement! 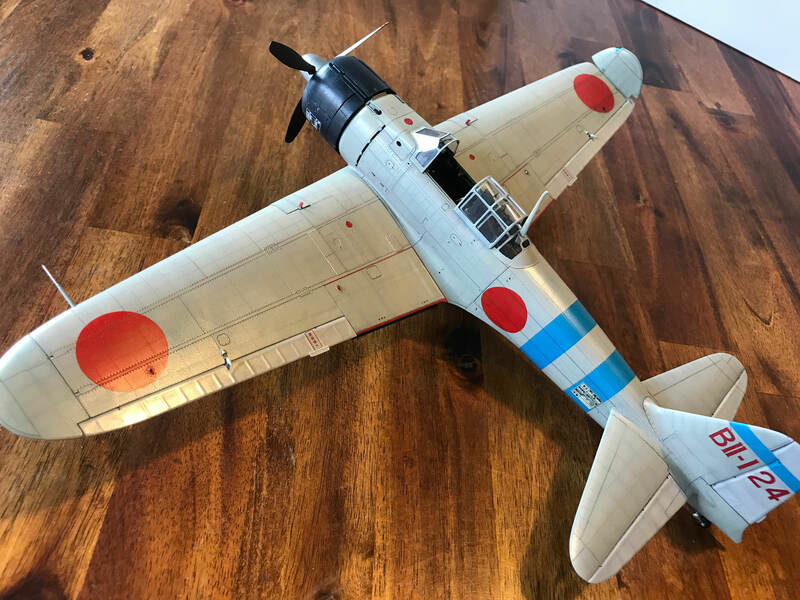 This was the first model I've built since the 90s, and it was tough not to rush through and finish. 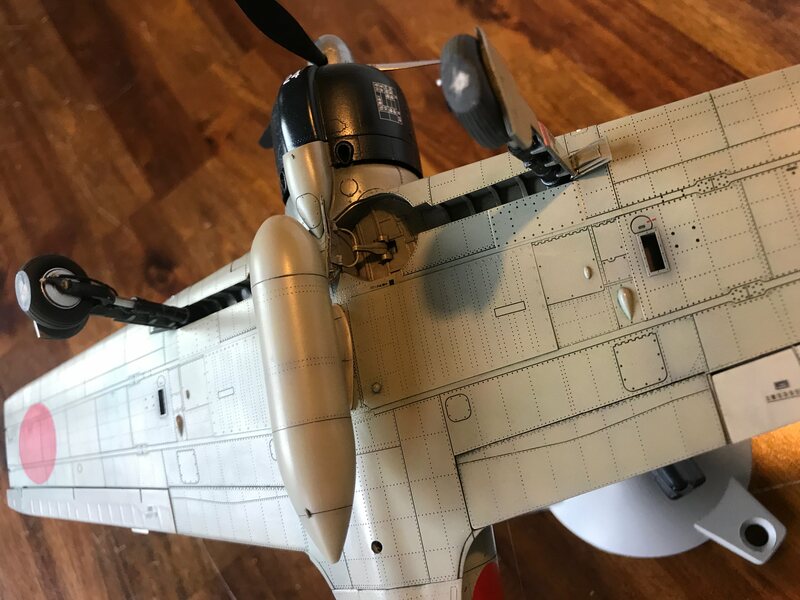 I have a gusto to get paint on them, and slowing down and getting all the boring parts done first really tries my patience, but I'm getting better at it, thanks to the many fine contributors on this site. That’s gorgeous! Perfectly done. I hope mine comes out as well as that! I just realized I forgot to install the 20mm gun barrels when I took these pics. Wonderful Zero Tom. 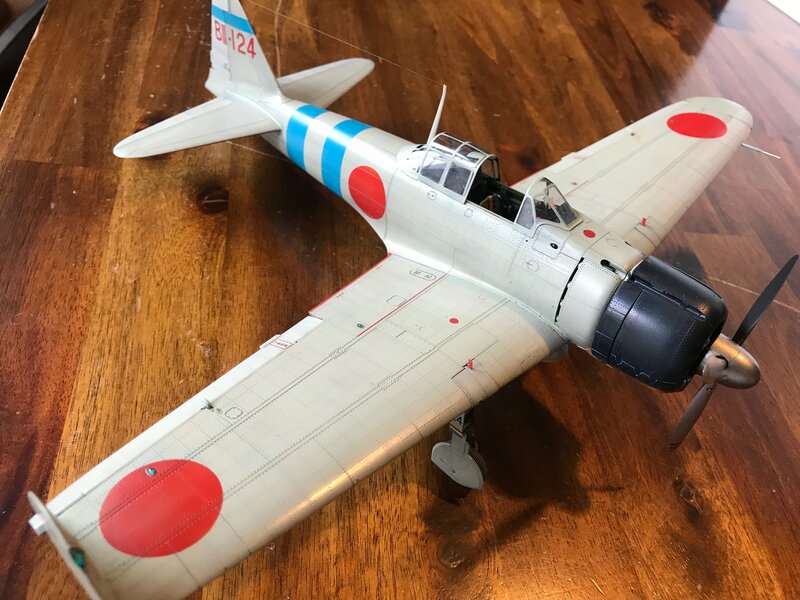 Here is mine from a few years ago - same aircraft with a bit more history. His real name was not discovered until after the war ended. I have this kit in my stash and will use these photos as inspiration; I like the double blue stripe color scheme. 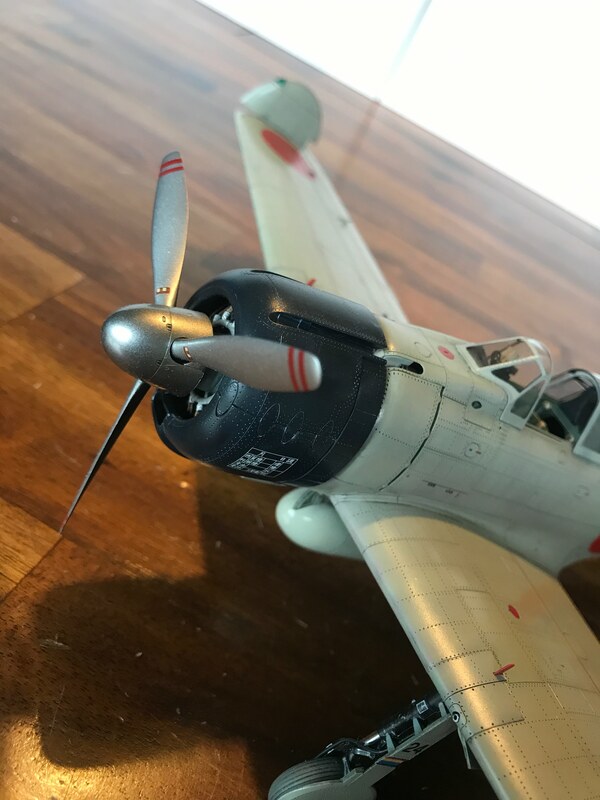 Yes these planes had some weaknesses, but that was because of an obsession with weight savings in the design concept and that led to such a maneuverable aircraft. Kind of like an aerial version of a Formula One car, at least in concept. That is what I love most about the Zero.